If you have been looking into building a new home and carrying out some research to get a better understanding of what you are looking for, then you will have almost certainly come across the term passive house. Passive homes are built to an extremely high standard in a bid to make them take as little energy as possible to heat them in winter and cool them in the summer. 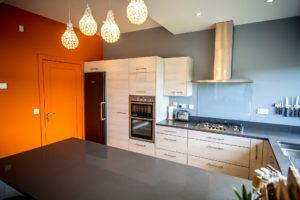 Here are just 3 of the benefits of building a passive house in Ireland. Passive houses are designed from day one to be energy efficient and they utilise extremely high-quality components that are purpose-built for the same reason. For example, a passive house window can actually reduce heat loss by over 70% when it’s compared to a double glazed window. Combining this with the high-quality insulation that is used in the walls means that it only takes a very small amount of heating in the winter or cooling in the summer to maintain comfortable temperatures in your home. The amazing heat retention capabilities of passive homes are just the start, if you add solar panels to your home then you could be making huge energy savings in your home for many years to come. As passive homes are virtually sealed shut, to meet the strict standards, they have advanced ventilation systems installed. These ventilation systems work 24 hours a day to bring in a supply of fresh air while simultaneously removing pollutants, toxins and odours before they reach unhealthy levels. The air in your home is fresh all day every day without having to extend any effort on your part. These ventilation systems also filter out pollen from outside which can be a huge bonus for anyone who suffers from hayfever. One of the most underrated benefits of building a passive house is how quiet they are when you are relaxing inside. The level of insulation is so high that it greatly reduces the noises that come in from outside and make it possible to enjoy peace and quiet in your home. This is especially true when your home is in an urban area or next to a busy road and can greatly increase your enjoyment of your home. There are so many reasons to build a passive home when building a new home for your family. You make big savings on heating bills, the constant flow of fresh air and filtration of toxins can be good for your health and you can relax peacefully in your home even when you’re living in a busy and noisy area. 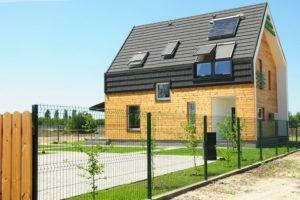 Thinking about building a passive house? Book a consultation with Sigma Homes today!